All manuscripts will be evaluated for originality, significance, clarity, and contribution. Papers will be sent to peer reviewers for evaluation. Publishing an article in the first or the second issue is free of charge. 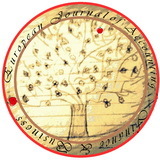 Publishing an article in the European Journal of Accounting, Finance & Business requires payment of the manuscript processing charges once the manuscript accepted for publication. The payment is to be made by one of the authors, their university/organization, or funding entity. The manuscript processing charges are designed to allow publishers to recover manuscript processing expenses and the cost of making the full-text available on the Internet to all interested researchers. The regularly publishing charges are to be announced.